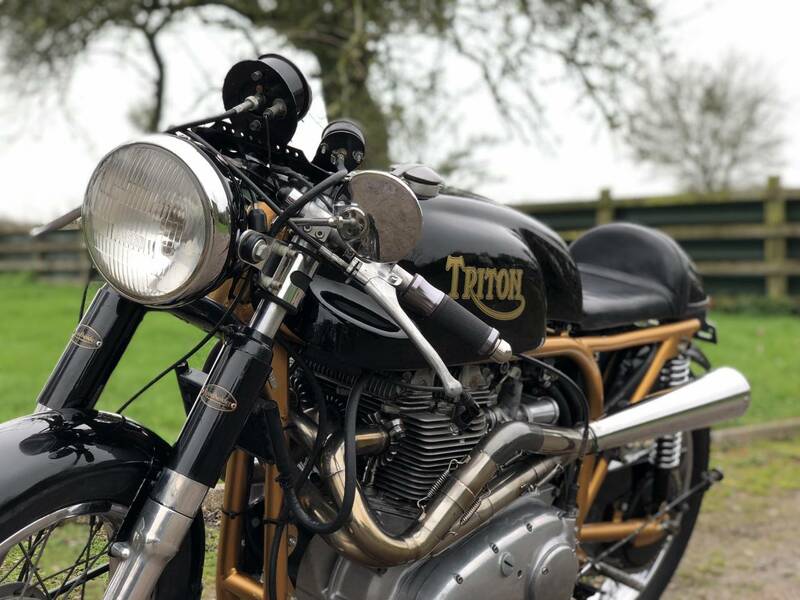 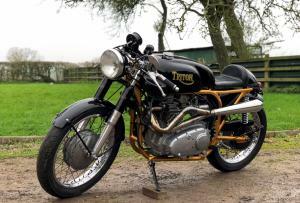 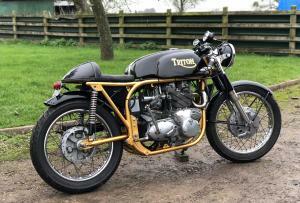 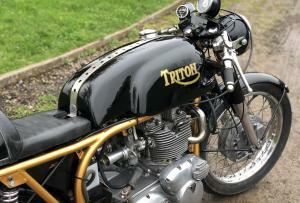 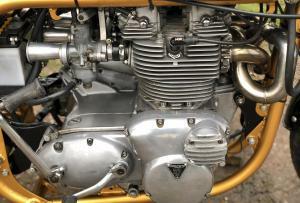 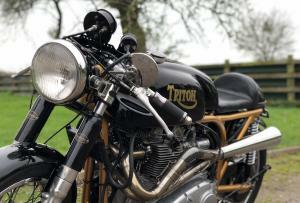 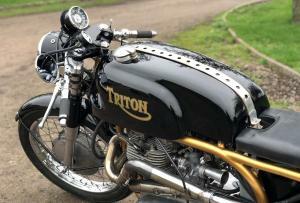 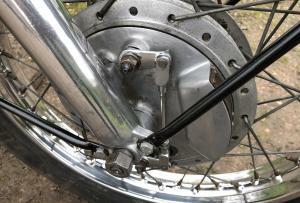 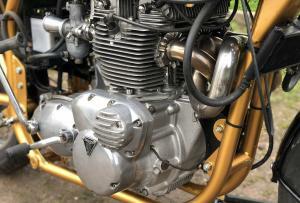 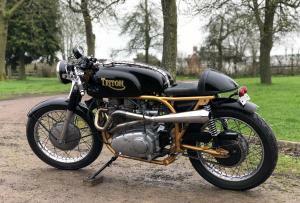 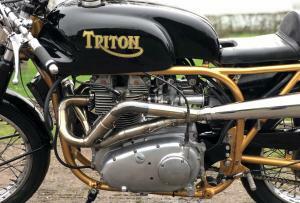 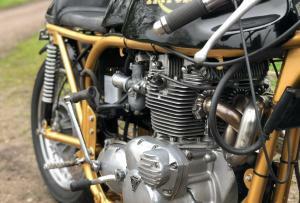 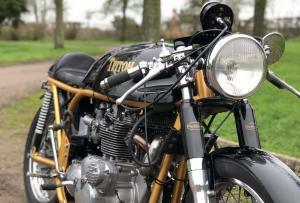 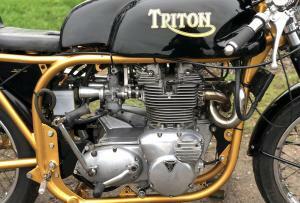 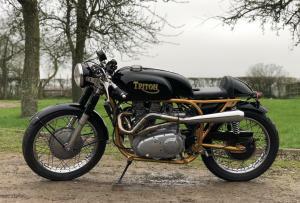 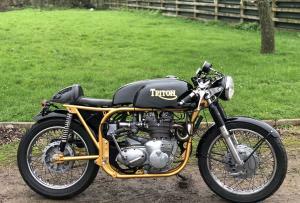 Triton Classic 750cc Cafe Racer Triple. 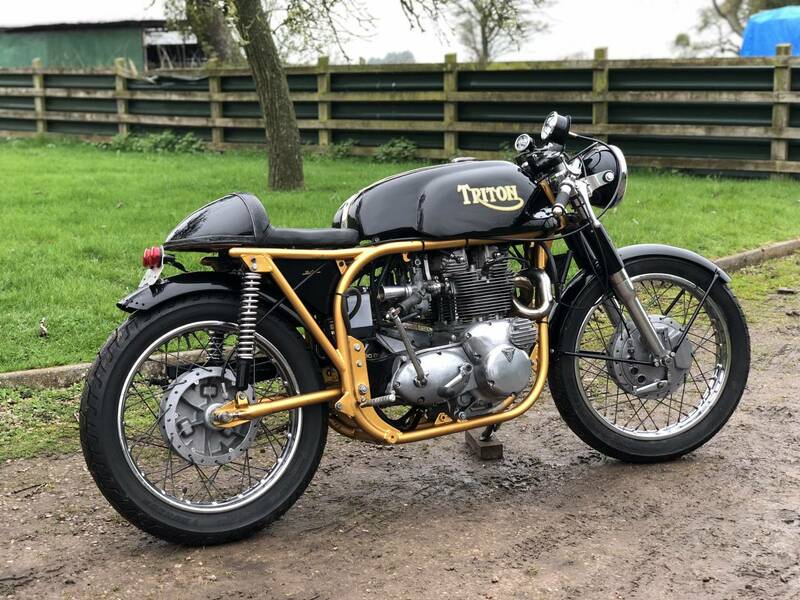 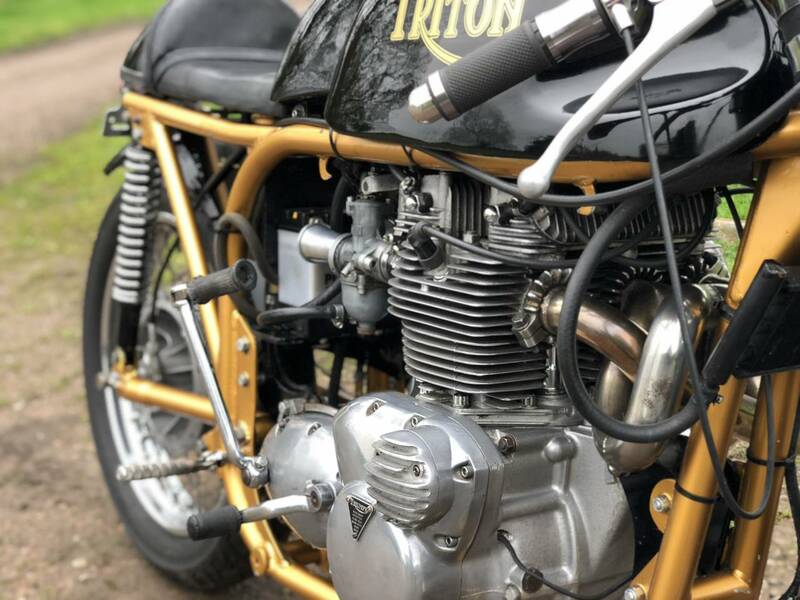 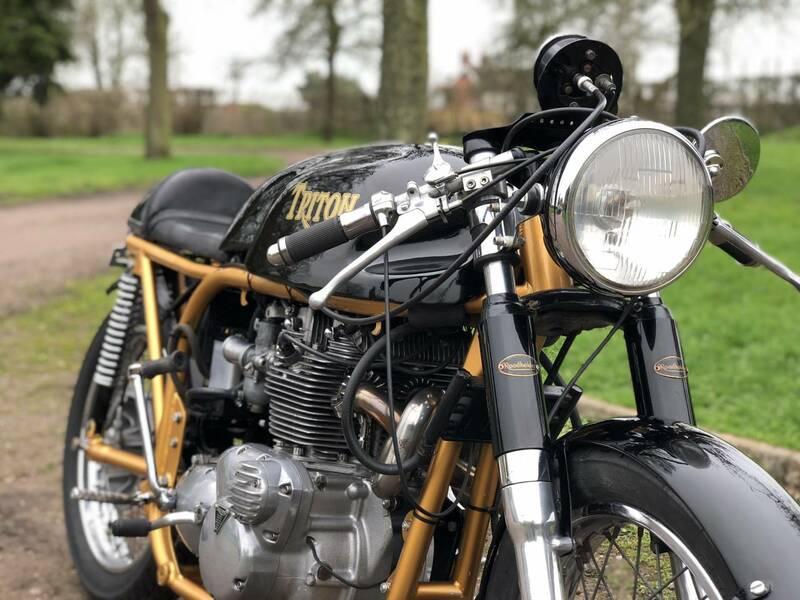 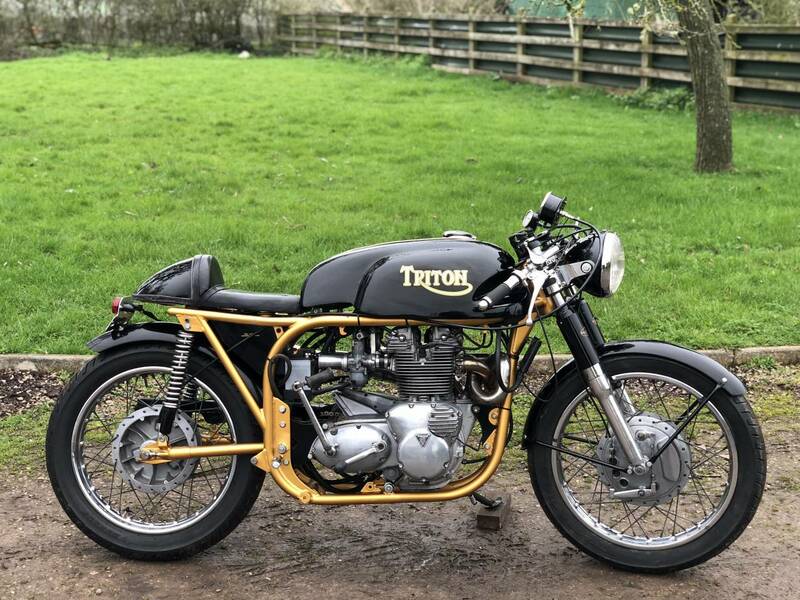 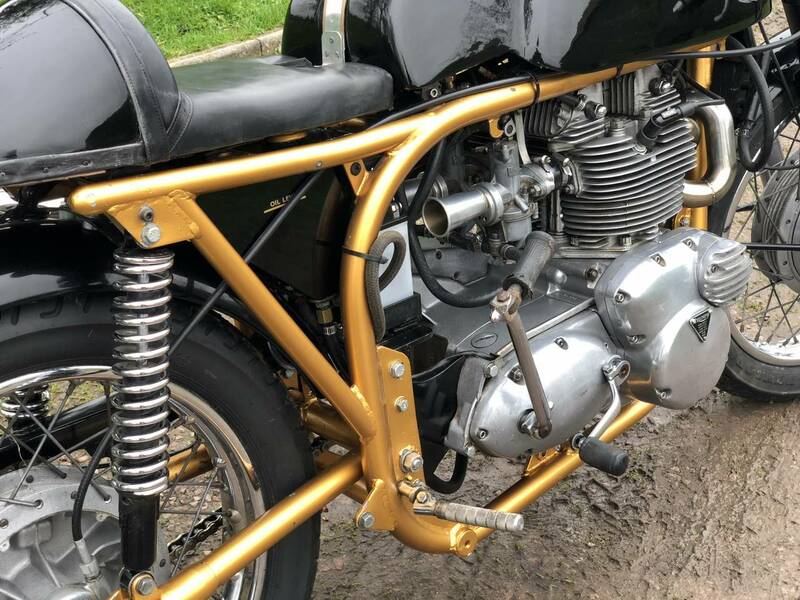 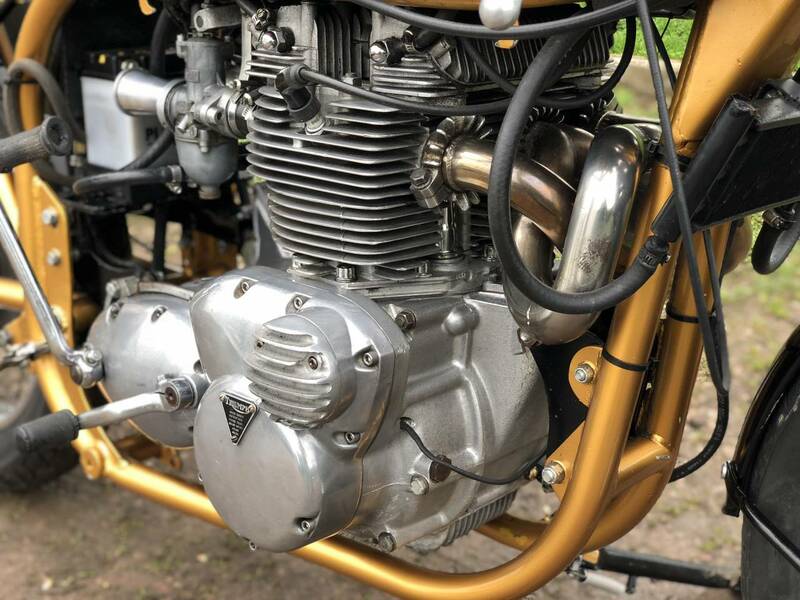 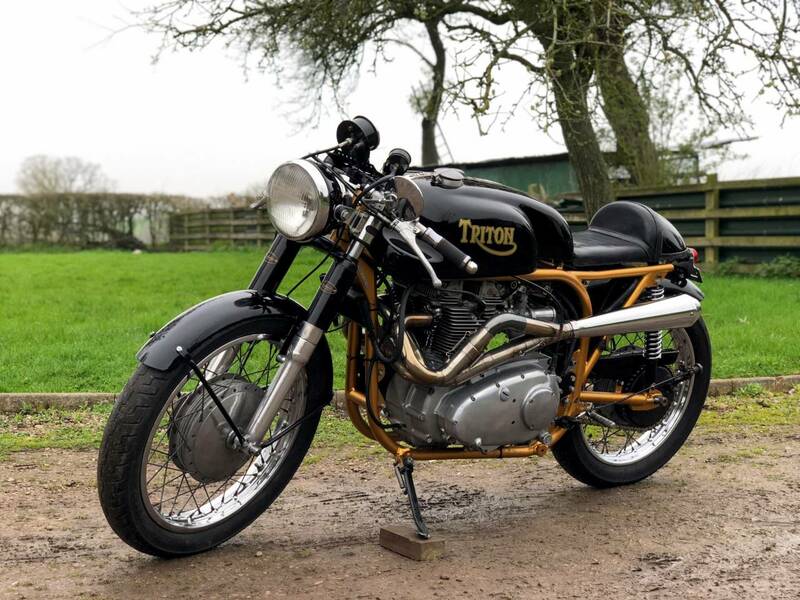 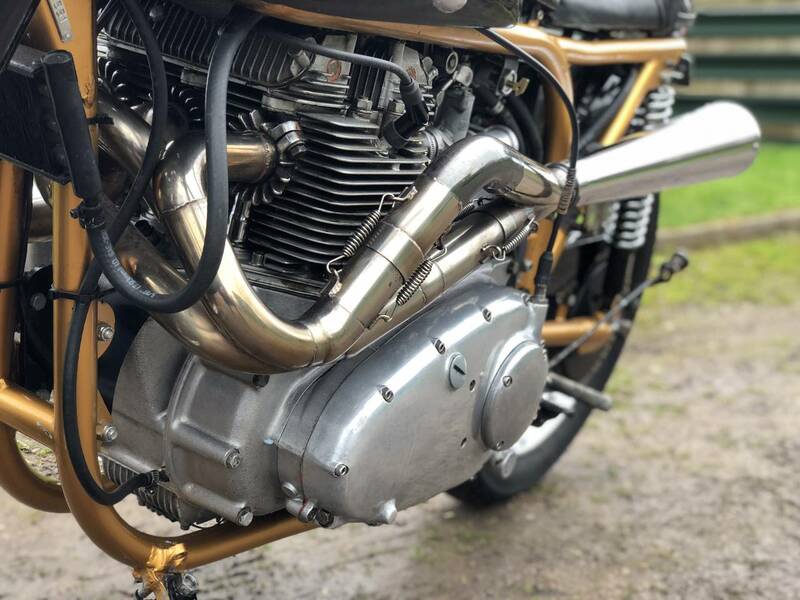 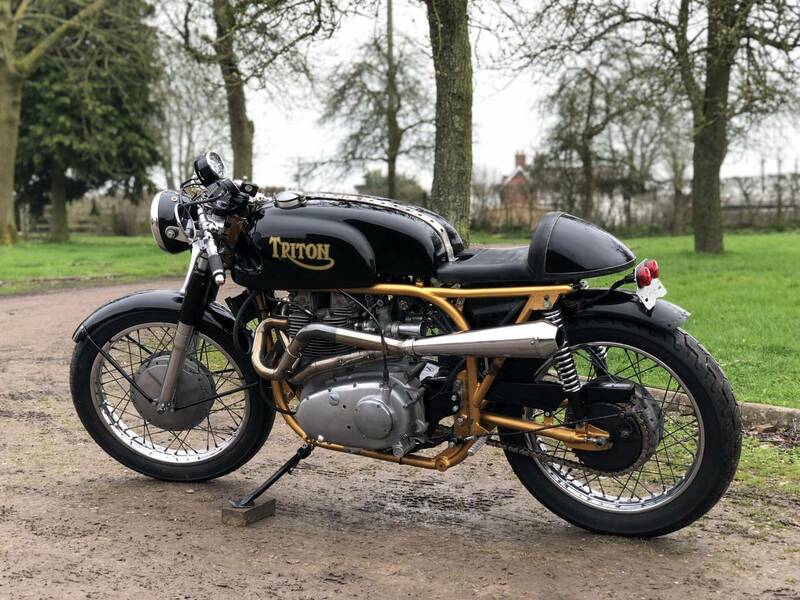 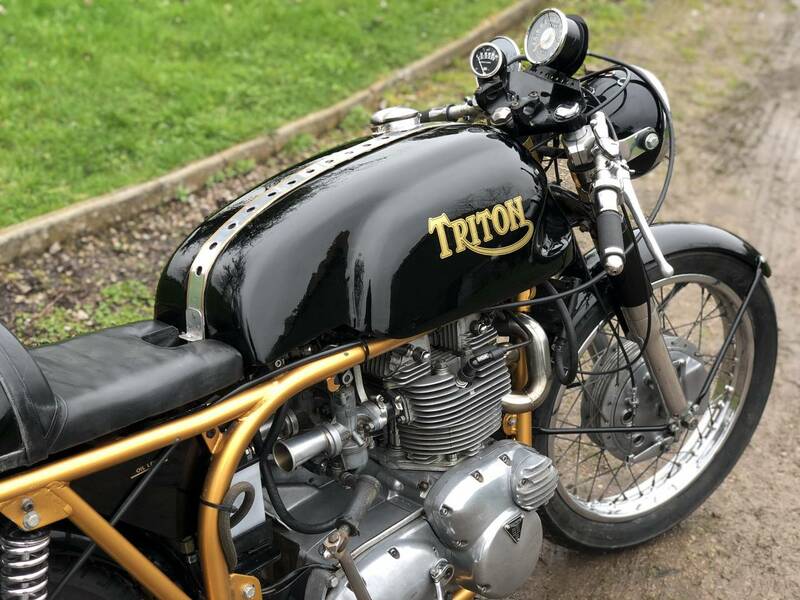 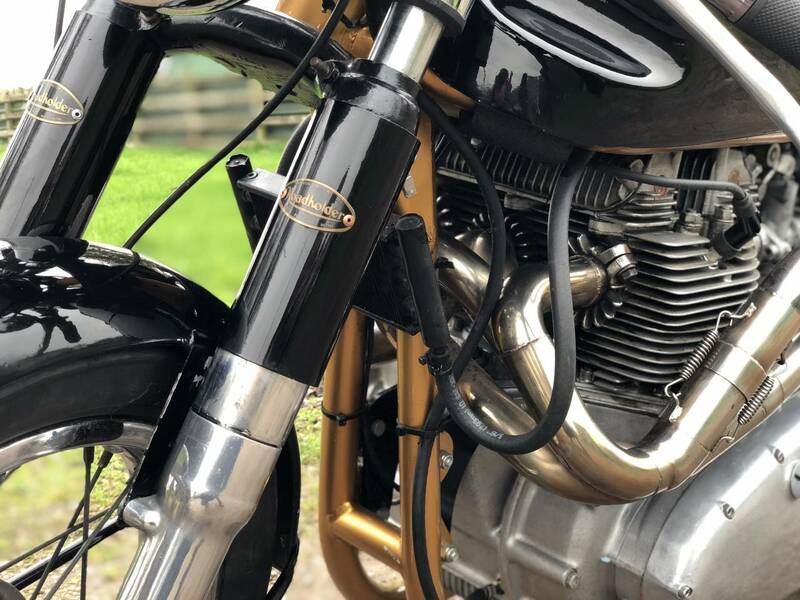 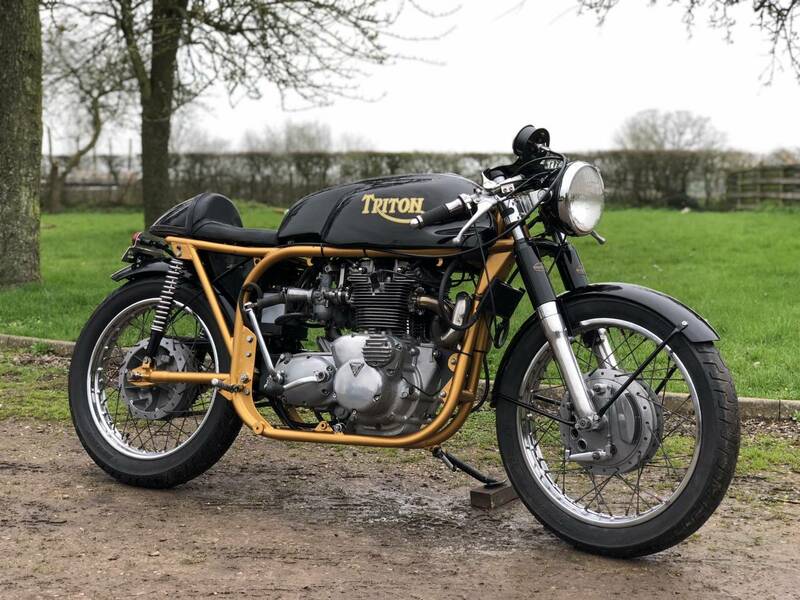 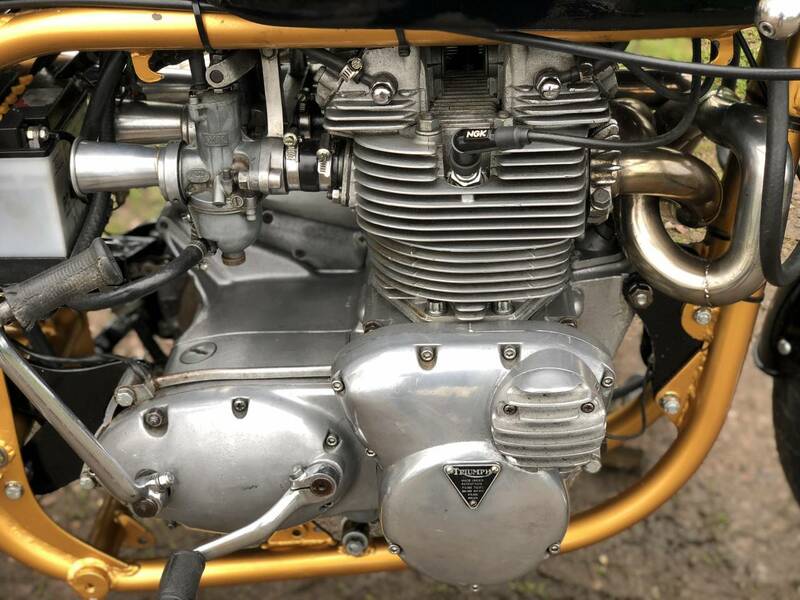 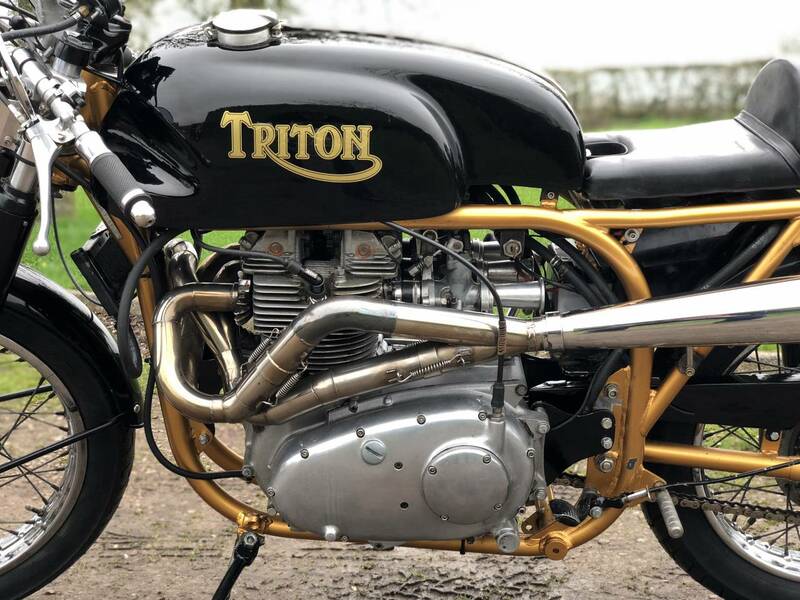 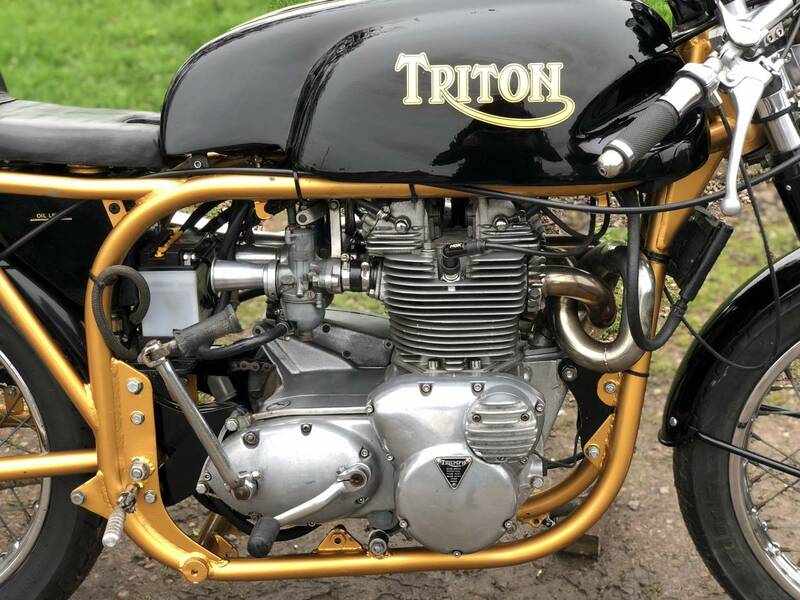 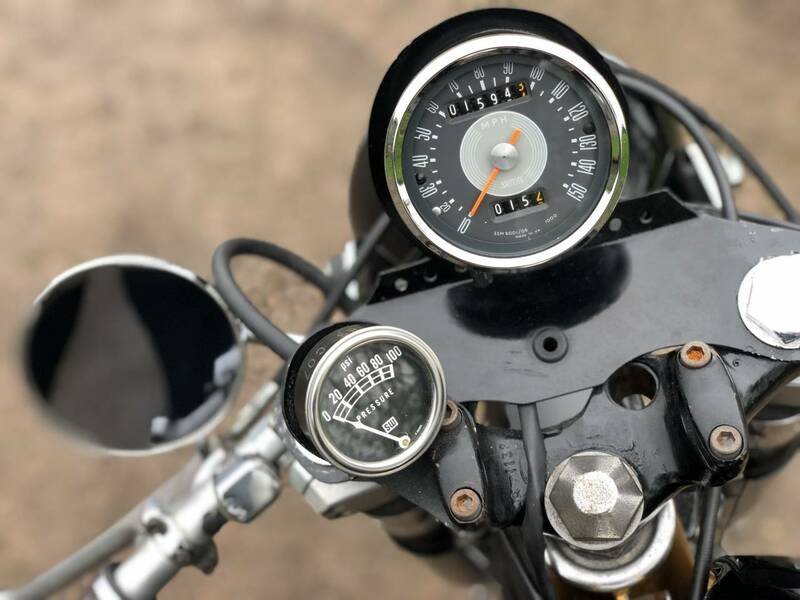 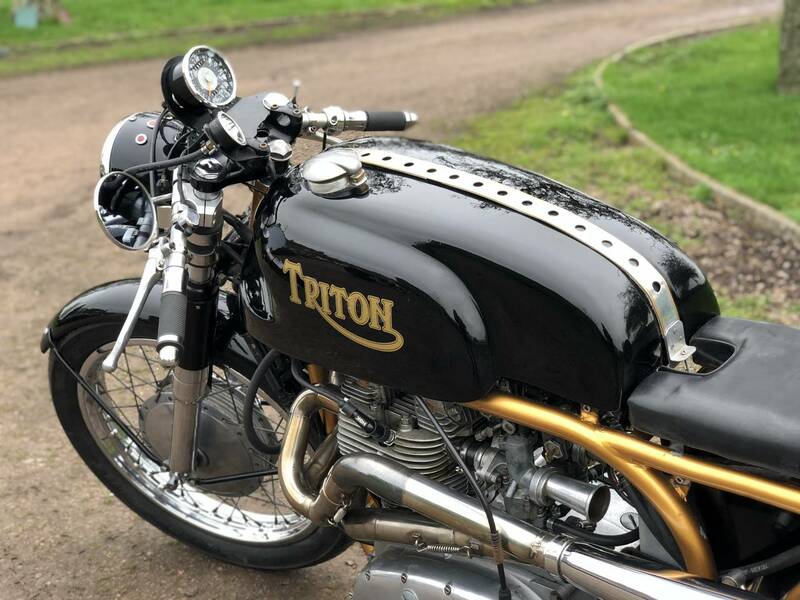 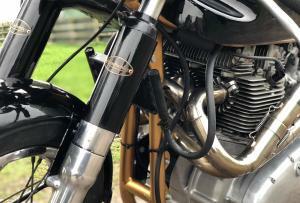 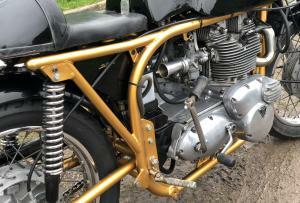 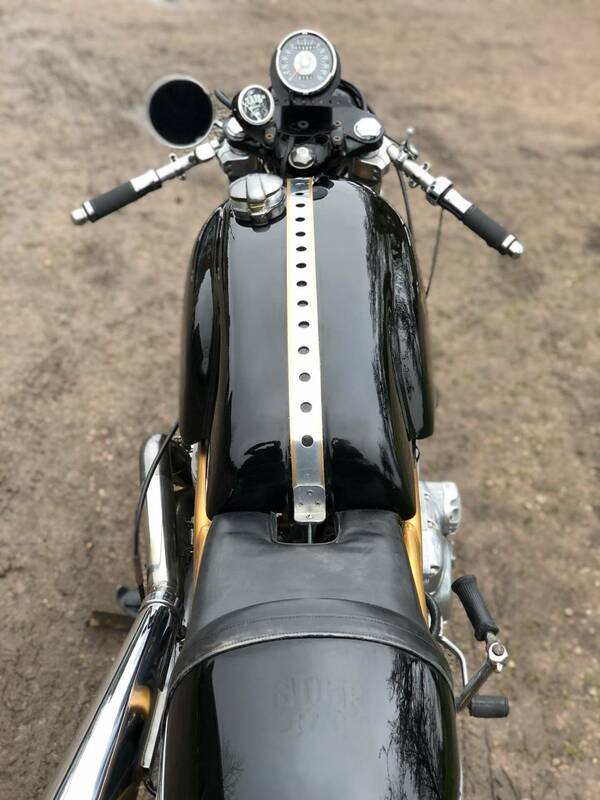 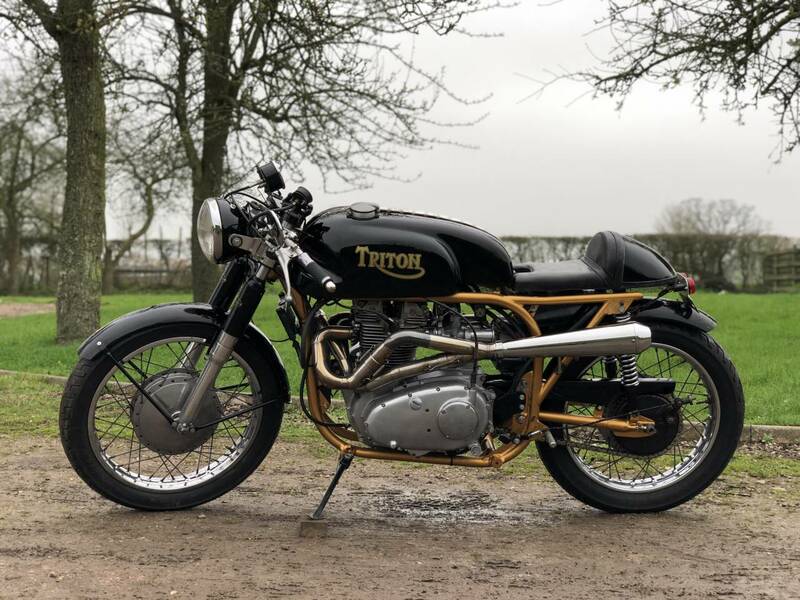 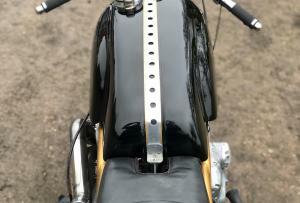 This Is A One Of A Kind Machine With A Custom Exhaust System, Reconditoned T150 Triumph Triple Engine, Gold Painted Norton Wide Line Featherbed Frame, Norton Commando Twin Leading Vented Front Brake, Norton Road Holder Forks And Losts Of Other Nice Mods! 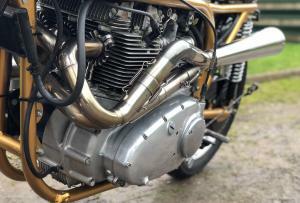 Easy to Start With A Smooth Powerful Engine. 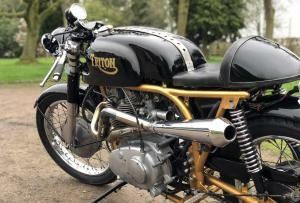 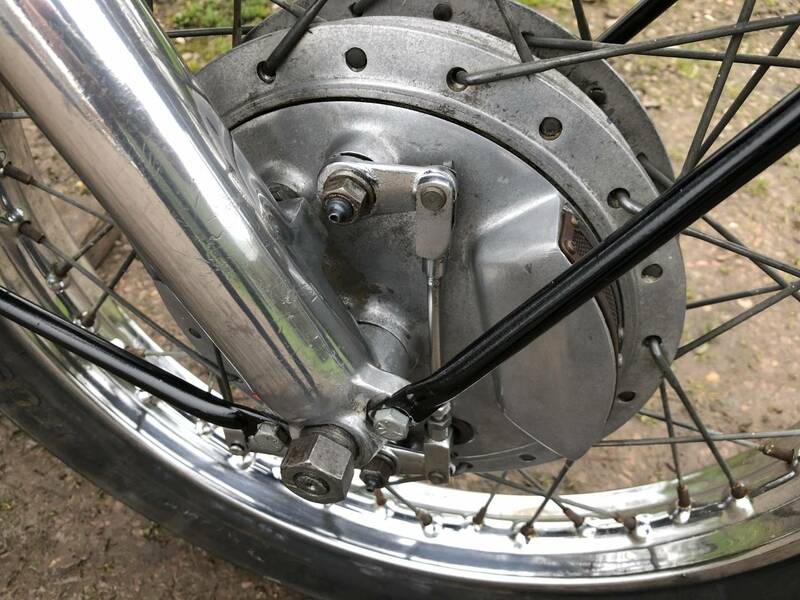 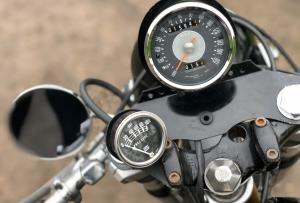 An Awesome Looking, One Of Custom Classic Cafe Racer Thats Been Made To Ride As Well As It Looks!